Thank you all for joining me this week to celebrate "Christmas in July!" It's been fun discussing Christmas movies and hunting for pickles ornaments. ;) Hope you've enjoyed it! And I especially want to thank those of you who filled out the "Christmas in July" survey. I really appreciate your time! It was helpful to read your responses and encouraging to read your comments. Thank you!!! For those of you who are interested in the survey results, I'll share those first. 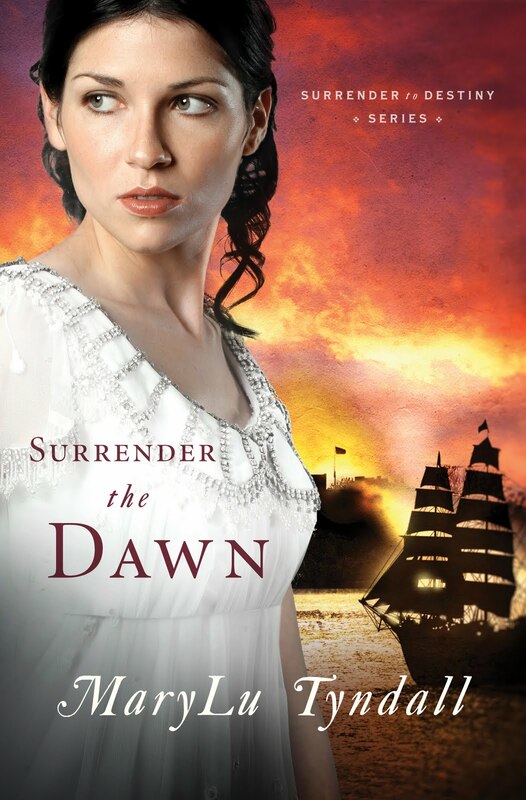 Michelle (scraphappy) won Surrender the Dawn! 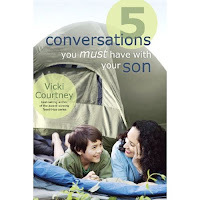 Katy M won 5 Conversations You Must Have With Your Son! Congratulations, ladies! If you haven't received an e-mail from me yet, be sure to let me know! Some stories are beautiful because of their complexity - all the thought-provoking details that come together to form a grand whole. 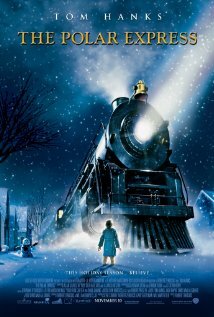 (A great example would be The Polar Express, which we featured earlier this week.) But some stories are beautiful because of their sweet simplicity, and Annabelle's Wish is one of those stories. The animation may not be stellar, but it's adorable. And the heartfelt message about selfless love - well, that is stellar! A little calf is born on Christmas Eve on a farm owned by a kind older man and his grandson - a boy who hasn't spoken since the day he almost died in a barn fire. When Santa comes and visits the animals as he does every year before leaving presents at the house, he gives the animals all the gift of being able to talk for one day. And from the moment the sweet calf Annabelle opens her mouth, she steals every heart with her enthusiasm and curiosity for life. Upon seeing Santa's reindeer and learning about their ability to fly, she is determined that one day she will fly, too. Christmas day greets her with the possibility of a dear new friend in the young farm boy, Billy. They get along so well right from the start that Annabelle accidentally gives away the animals' secret about being able to talk. And that's when she learns that Billy can't talk. But as the narrator notes, they didn't need speech with the kind of friendship they had - the kind that's more precious than words. Billy's grandpa is a kind man who takes good care of the farm animals and loves his grandson. As he tells Billy's aunt when she tries to take Billy back to the city with her: "Billy and me - we're all each other's got." So what is Grandpa's wish? Because he loves Billy, his wish is for Billy to have a good home, good friends, and a good life. When their neighbor, Mr. Holder, takes Annabelle away as payment for the fence Billy and Annabelle wrecked, Grandpa sells his dearest possession - his daughter's music box - in order to buy Annabelle back. To see Annabelle and Billy reunited... It's a moving and poignant scene, showing just how important their friendship is. Grandpa's love led him to make a sacrifice for Billy. Our example of the ultimate sacrificial love comes from God - our Father who chose to send His Son to die for us so that we might be saved and live with Him forever. Sacrifices hurt, no matter how big or small, but the fulfilled wish in the life of someone else is the powerful reward of such love. Emily is Billy's best friend (along with Annabelle, of course! ), and her loving heart is quite exemplary. She cares about Billy so much that she doesn't need to hear his voice to know what it is he wants. For example, after caroling on Christmas Eve, Emily starts to walk away, and it is evident Billy wants to say something to her - but he can't. At that moment Emily turns around and says, "Merry Christmas to you, too, Billy." And after Christmas, when Emily brings over her new sled so that they can play, she suggests that Billy can be an elf. But almost instantly she changes her mind and says, "Actually, I've decided that I want to be an elf, so you're going to have to be Santa Clause. I hope that's alright with you." The look of joy and contentment in being understood is so sweet as it shines on Billy's face. For Emily, her love shows in her understanding. Not only does she set aside her own wants, but she cares enough to really see who Billy is and desire his happiness above her own. It's no surprise that such close, selfless friends get married later on in life. Their friendship reminds me of a quote from the movie Little Women: "Your heart understood mine." What a wondrous foundation for romance! And we, too, can show understanding toward others when we realize that God truly understands us, and loves us unconditionally. Mr. Holder is a proud man with a painful past. It is suggested that his wife died, and he has two boys to take care of. He believes that his boys are above all wrong, but when he discovers that this is not the case (ie: when the sheriff tells him his bullying boys were lying about the reason Annabelle "attacked" them), he is forced to swallow his pride. He is told by the sheriff about the fact that Billy's grandpa sold his beloved daughter's music box in order to buy Annabelle. The sheriff also tells him, "You of all people should know what it's like to lose a loved one." Yes, Mr. Holder understands. And that is why he buys the music box back and presents it to Billy's grandpa. His act of love is also one of humility. By giving Billy's grandpa the music box, he is showing that he was wrong. And sometimes we must show love to others by humbly admitting we were wrong. Love like that is difficult, but also healing and very meaningful. Knowing that God has forgiven us of so much, we can find the ability to be humble through His grace. Earlier I alluded to a wish Annabelle wanted to ask of Santa. All year long she shows love to her friends and works hard to be good so that she can ask for this wish. When Santa returns the following Christmas, she approaches him and whispers her wish into his ear. In the background you can see the reindeer she longs to be like, and you can recall her dreams of flying just like them. On Christmas morning, Annabelle is not a reindeer. But Billy has a very special package waiting for him in the Christmas tree: an empty one. Yet when he lifts it up and over his head to make sure it's empty, he clearly declares, "There's nothing in here." He can talk! Annabelle gave up her special Christmas voice for the rest of her life so that Billy could have a voice. Billy exclaims to Annabelle, "But I thought your wish was to fly!" Annabelle's mother replies, "To hear you talk - that was Annabelle's wish." Such a powerful example of love! Annabelle's wish - her dream - was for her best friend, Billy. And through the years Billy never forgot her gift. One Christmas Eve when she is old, Annabelle goes out into the snow, and Billy follows her, worried that she won't survive in the cold. But Santa finds Annabelle and tells her, "I believe someone has a wish for you." And with some Christmas magic Billy gets to see Annabelle transformed into a beautiful reindeer - with a voice and the ability to fly. It's such a simple story of friendship, daily life, and Christmas cheer. But through its simplicity Annabelle's Wish shares a meaningful message of love that can inspire us to love others just as we have been loved. Since I already wrote about this tradition before, I'm just going to repeat some of what I said last time about this neat Christmas tradition. The basic idea is that the parents hide a pickle ornament in the tree, and whoever finds the green ornament among the branches and other ornaments receives an extra gift! 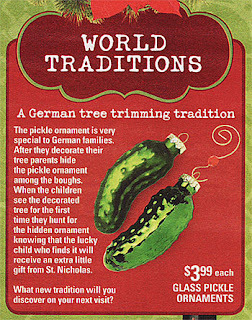 In our family, though, we have more than one pickle ornament, so my sister and I both have a chance to win a prize. It makes the game a little less stressful that way, I'm sure. ;) Plus, my grandparents hide pickle ornaments for us in their tree, too, so I think it's safe to say we've been rather spoiled! Now it's your turn! 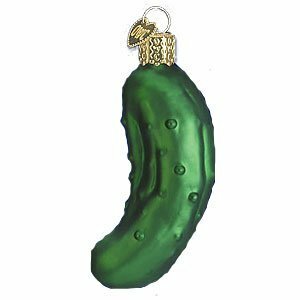 I have hidden three pickle ornament images in three different posts on this blog. They could be anywhere on this site, so you'll have to hunt carefully! Just remember: The pickle images are on this blog (Seasons of Humility), and you won't find them in any links that take you away from this blog. There are three pickles out there, so there are 15 extra entries available! If you don't want to be entered to win either of the books (Surrender the Dawn or 5 Conversations You Must Have With Your Son), you can choose to give your extra points to someone else who is entered in one of the drawings. When you find a pickle image, just leave a comment saying where you found it (you can either describe the post/page or include the URL). I might be a little slow in checking in, but just know that once all three pickles are found, the game is over. Some stories have a great message but don't weave it in well with the plot - simply adding it to the end like a caboose or forcing it upon the viewers like an out-of-control steam engine. Not so with The Polar Express! One thing that has struck me every time I've seen the movie is how deep it is. The theme is complex, beautiful, and both obvious and mysterious. It's not a movie that lulls me into a cozy stupor. It's a thought-provoking movie that challenges me to make connections between all the little parts. Faith. It's what this boy longs for on Christmas Eve, and what he lacks as he waits in bed for the dreaded Christmas morning when all his doubts will be realized. Until a loud rumble announces the arrival of The Polar Express - an opportunity to put his faith to the test if he'll climb on board. He almost doesn't, but something compels him to give this crazy ride a try. In his pocket appears a golden ticket - "a genuine ticket to ride," as the hobo later refers to these. (But I'm getting ahead of myself!) And the conductor, who is a bit obsessed with keeping to his schedule, punches the boy's ticket with a hole-puncher, forming the two letters "B" and "E" on opposite ends of the ticket. For those of you who have already seen the movie, you'll remember that all of the children on the train have tickets. But at one point when a sweet young girl heads to the caboose to give some hot chocolate to a shy little boy, our hero finds the girl's ticket on her seat and decides to take it to her. And as he steps outside the train car, the ticket slips away into the wind. Were you like me and curious as to why there was so much focus on the ticket? I mean, it was very cool to see the ticket's travels as it flew through a wolf pack, got snatched by an eagle, snowballed down a hill, and eventually wound up back on the train. But why show all that? Well, as with many things in this movie, I think it's an important symbol. That ticket was a gift: permission given to the girl by someone in authority to be on that train. Isn't that, in one aspect, what salvation is? We're given a gift - permission to be on God's train, so to speak - that could only come from someone in authority, and it's something we can show to prove that we do indeed have a right to be on the train (through God's grace and calling). So when the girl loses her ticket, it's disastrous. (That's not to say that this is an exact connection and she symbolically "lost her salvation" or anything like that; I just think the tickets are meaningful symbols.) The parallel came in earlier when the hero asked the girl, "Are you sure?" (Referring to bringing the hot chocolate to the caboose.) And she didn't answer. There was doubt, and she wasn't quite confident at that point in who she was. Now we come to the hob o who hitches a ride on the top of the train. I have to admit that even though the hobo is a sort of "villain" in this movie, I really like his character. He adds a lot of mystery to the plot, because even though he encourages the boy to doubt Santa (and all that Christmas stands for), he also saves the boy and his friends on a couple of occasions. So who exactly is he? A ghost, as he himself suggests? An angel - or perhaps the devil? I confess that I have a terrible time trying to define him. But when I stop trying to put him into a preconceived box, I realize that he is an important part of the journey. He is helpful in that he challenges the boy. He physically "saves" our hero a couple of times, paralleling the fact that he "saves" the boy from borrowing someone else's faith or having a false faith. He makes the boy question whether it is all a dream - whether this journey and its destination are real or not. He calls him a "scrooge" and a "doubter," and later on when the boy is trying to hear the sounds of the bell, he first hears the word "doubt" echoing instead. Our own faith can't be something that we borrow from someone else, be it family, friend, teacher, or anyone else. And if it is to be a true and personal faith, it has to be something that lasts through trials and stands through doubts, questions, and worries. During that time of separation, our three friends end up crossing a sort of "bridge of faith" (more so for the hero, who can't hear the bells at that point and has to trust the girl's sense of direction) and find themselves in the gift department. That's when the shy boy (Billy) comes across a gift addressed to him. But on that gift is a sticker that reads, "Do not open until Christmas." I'm sure many of us are familiar with that idea - you have to be patient and wait until Christmas day to open your gifts, even if they're beckoning to you from under the Christmas tree, within your reach. Isn't it wonderful, though, when you finally get to open the gift surrounded by friends and family, listening to Christmas music and sitting by the lovely Christmas tree? That's when it's just right to open the gift. Just like our Christmas gifts, God has so many good gifts for us. And how many of them have stickers on their wrapping telling us to wait until God's perfect timing to open them? I confess that this is something I have a very difficult time with - I'm not a patient person! Yet, God's timing is always perfect, and just like the elf tells Billy to trust him with Billy's gift, so we must trust that God will give us the gifts He has planned for us when the time is right. They are safe in His hands. While I was hopeful that this was a Christian movie "in disguise," I know that isn't really the case, as evidenced by the words the conductor says near the end: "It doesn't matter where the train is going. What matters is that you choose to get on." (Not his exact phrasing, but you get the idea.) By saying that, there's the suggestion that the destination doesn't really matter, so long as you believe in something. As a believer in the God of the Bible, I don't think that's true. I think that it really does matter where the train is going. But despite that, I think this movie's message about belief is so eloquent. When our hero can't hear the bells, we as an audience are allowed to step into his shoes, as we can't hear the bells either. He's frustrated, hurting, aching. And when Santa finally appears, he can't even see him around the elves who are also trying to get a glimpse. He shouts, "I can't see him!" It brings to mind the point earlier when the hobo told him, "Seeing is believing." And when the conductor later said, "Sometimes seeing is believing. And sometimes the most real things in the world are the things we can't see." Now everything slows around him, and he watches as a bell breaks free from a harness on the sleigh and rolls towards him. He picks it up in the silence and tries to ring it, to no avail. All he hears is the echo of "doubt." So he must make a choice. Does he believe? Does he believe that Santa is real - that Christmas with all of its joy and warmth and love is real and true? And does he believe it even when he can't see it? In a breaking voice he finally admits, "OK. I believe. I believe. I believe." Repeating it over and over until Santa approaches him. Then he is chosen as the child who gets the first gift of Christmas. And he chooses the bell - the symbol of his faith. When his ticket is punched again after this journey is complete, the missing letters are filled in to spell "BELIEVE." But when he gets on the train he realizes that he put the bell in the robe pocket with the hole in it. The bell fell out at some point. So now that his visible symbol of faith is gone, will he still believe? Throughout the rest of Christmas Eve and onward, I think it is evident that he ultimately does. He eventually gets his bell back, but he knows that it is just a symbol. Its ringing reminds him that he still holds onto faith, even when he grows up. And so our own faith is like that bell. Its sweet music of hope is our assurance, and our friendship with our Lord through faith is our evidence in the things we cannot yet see. Just like Santa tells Billy: "Friendship is the greatest gift." "Christmas in July" Survey with Gifts! At the risk of being a copycat of Joy from Edgy Inspirational Romance (with her annual reader survey) and Sandra Moore from The Borrowed Book (with her recent reader polls), I've decided to create a survey for ya'll. ;) Some questions are similar to ones Joy and Sandra have asked (I do hope they'll forgive me for that), and some are ones I've just really wanted to ask you, so there you have it! You have between now and Thursday, July 28th, at 10:00 PM (PST) to fill out the survey and enter the drawing. A winner for each book will be chosen using the "List Randomizer" on the Random.org site. You can only enter one drawing, and you must include your name and e-mail address in order to be entered. Also, you must have a U.S. mailing address in order to enter! I'm sorry, but if you don't have a U.S. mailing address, please don't try to enter the drawings. However, please feel free to fill out the survey, as there's an option included on the survey to not enter the drawings. Thank you! 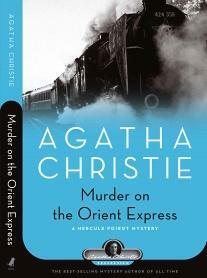 "One of Agatha Christie’s most famous mysteries, Murder on the Orient Express was inspired by two real-life crimes and the author’s own experience being stranded on the Orient Express during Christmas of 1931. While traveling to Paris, a wealthy American is stabbed to death in his cabin on the Orient Express. With the train stuck in a snowdrift, there is no easy escape for the killer. Fortunately, detective Hercule Poirot is aboard and launches a clever investigation into the curious assortment of passengers, of whom each seems to have a motive." I'm really enjoying these Agatha Christie books, though! Murder on the Orient Express is such an intellectually engaging/stimulating story! I absolutely love trains, so I really love this book's setting. And I love that in the second part of the book the reader is provided a map of the train car where the murder took place. I ended up writing on the map to try and help my mind sort things out. ;) Plus, I've been underlining some great lines in both of the Agatha Christie books I own (this one and Death on the Nile). Great stuff! I apologize again for not having a complete review of either Christie book for you. But suffice it to say that I'm quite intrigued by both books so far, and I'm becoming a big fan of Poirot (both these books and this latest season's episodes on PBS Masterpiece). I confess to having watched "A Study in Pink" long before reading A Study in Scarlet. I'm not sure which would be more fun: reading the book first and seeing the little tidbits from the book in the episode, or watching the episode first and seeing how the creators of Sherlock used the book to inspire the show. Of course, I did the latter. I think no matter which way you go about it, it's just plain fun! 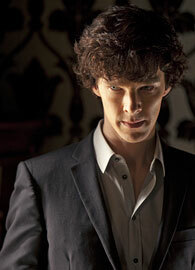 In the book Watson reads an article written by Sherlock Holmes about "The Science of Deduction." In the show, Watson reads Sherlock's website, aptly named "The Science of Deduction." In the book there are two pills - one poisonous and one harmless - just like in the show. In the book the murderer works as a cab driver, just like in the show, although cabs in the time of the book were horse-drawn and not motorized vehicles. In the book there is an interesting comment made by detective Gregson, who states, "He [Inspector Lestrade] is after the secretary Stangerson, who had no more to do with the crime than the babe unborn." Perhaps that's like the part in the show where the police think Rachel (the victim's stillborn daugher) has nothing to do with solving the crime? To continue on with my thoughts about the book, I have to say that I was quite surprised by the second part of the book where I was all of a sudden thrust into the back-story of the criminal. I had to skip ahead to make sure I was still reading the same book! ;) But once I realized that it was indeed pertinent to the mystery, I really appreciated the background. I was appalled and saddened by the crimes leading up to the one Sherlock solves. Mormons, the Wild West, and a tragic romance - definitely different than "A Study in Pink!" As I said, I didn't see it coming, but I appreciated the fact that the background was shared in an intriguing, engaging way. 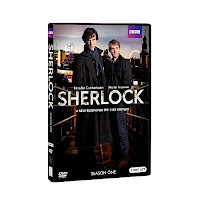 If you have been following my blog since Fall 2010 (or earlier), you're probably aware that I fell in love with the PBS Masterpiece Sherlock series. I think the show is wonderfully done! To quote Sherlock himself, "Brilliant!" I cannot wait for Season Two!! I just love the overall presentation of "A Study in Pink!" (Can you tell I LOVE this show??) I love the depth given to all of the characters, especially Watson (with his military background, his psychosomatic limp, etc.). And it's so thought-provoking and clever! My dad noted how intelligent the show is, and I completely agree! Read my original review of "A Study in Pink." Read Ruth's review of this episode on her blog Booktalk & More. Visit the series' page on the PBS Masterpiece website. You can purchase the first season on Amazon.com. 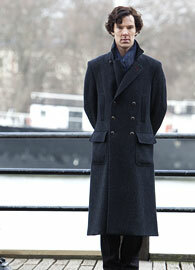 In "A Study in Pink," Inspector Lestrade tells Watson, "Sherlock Holmes is a great man. And I think one day he might even be a good one." Do you agree with Lestrade's assessment? Why or why not? "Linnet Doyle is young, beautiful, and rich. She's the girl who has everything—including the man her best friend loves. Linnet and her new husband take a cruise on the Nile, where they meet the brilliant detective Hercule Poirot. It should be an idyllic trip, yet Poirot has a vague, uneasy feeling that something is dangerously amiss..."
I am definitely intrigued by this case so far. Although I must say it's interesting that I'm about 1/3 of the way through the book, and the murder hasn't even happened yet! But as for introducing fascinating, pitiable, and various characters--Christie did a splendid job. 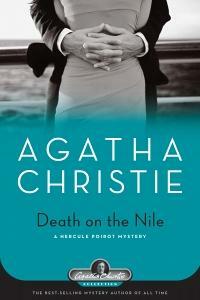 Death on the Nile is my first foray into Agatha Christie's world of mystery novels, and I'm really enjoying it! In the first part of the book ("England"), a wide cast of characters is introduced, all with interesting connections to one another and the couple of the hour: Simon and Linnet Doyle. Many motives are alluded to and brought into the light, but even a good way into the second part of the book ("Egypt") and 1/3 of the way through the whole story, there as yet is no crime to which these motives might have found fulfillment. I guess I'll just have to wait and see! A longer description of the book discusses the crime to be committed, so I already have an idea of what to expect, which makes me consider all the different characters in view of that. Even though I haven't finished the book, I would still love to have a discussion based on what I've read so far. I've come up with questions regarding the pages I've read so far, some of which pertain to the plot and others of which are just general questions that people who haven't read the book can still respond to, so I do hope you'll participate! When Hercule Poirot talks with Linnet about Jackie (the scorned lover who is following her ex-fiancee and Linnet everywhere) he references King David and the story that was told about David in terms of a rich man and a poor man, where the rich man took the poor man's one lamb. Do you think this is a good parallel for the situation between Jackie and Linnet? Why or why not? Do you have sympathy for both of these characters? Near the beginning of the book, Poirot is at a restaurant observing the people there. He notes at one point, "How absurd to call youth the time of happiness--youth, the time of greatest vulnerability!" And later he thinks, "He was glad that he was no longer young." What do you think of Poirot's view of youth? How does it differ from the glamorous view of youth that seems to prevail in the media (etc.)? When talking to Jackie about her unhealthy obsession with revenge, Poirot tells her, "Give up the past! Turn to the future! What is done is done. Bitterness will not undo it." And when Jackie protests her ability to let it go, he says, "No--for you could do it! There is always a moment!" Do you agree with Poirot? Is he being unsympathetic...or wise? And do you think he is right in saying that she can still make the choice to do the right thing? It's too bad there's only one episode in this latest season (Series 6) of Miss Marple--because I loved "The Pale Horse," and I'm ready for more! In 2010 PBS Masterpiece won me over during the Classics season with shows like Jane Austen's Emma, Northanger Abbey, and the action-packed The 39 Steps. And then later that year the new, modern version of Sherlock was an absolute treat for me, and I became intrigued by the Mystery season. I ended up watching a couple of older Miss Marple episodes with my aunt and uncle while visiting some family in Texas over Thanksgiving break, and I really enjoyed them. When I discovered that JJ Feild was playing a role in this latest episode of Miss Marple, I was even more convinced that I had to see it! JJ Feild was Henry Tilney in Northanger Abbey, and he did a splendid job, in my opinion. ;) Gotta love a hero with a sense of humor and a great smile! Anyway, overall I found "The Pale Horse" to be a wonderful episode! (And just to clarify, "episodes" for PBS Masterpiece are movie-length--about 90 minutes, generally.) With plenty of interesting suspects, a creepy setting, and the ever-lovable (and quite insightful!) Miss Marple, you get the perfect mix for a "keep-you-guessing" mystery. When Miss Marple receives a letter with a list of names from a dear friend (Father Gorman), and then later discovers that Gorman has been murdered, she sets off to seek justice for her friend and follow the clue that he gave his life to protect. "Teaming up" with an inspector (who doesn't really appreciate her meddling ways at first), she tracks down leads and eventually ends up at the Pale Horse Inn, where she encounters "witches," secretive guests, and a complex and dangerous scheme. I like the array of characters, as well as the twists and turns along the way. As for the ending, well, let's just say I didn't see it coming--which is a good thing when it comes to mysteries, right? I loved the surprises, and Miss Marple is a heroine to admire! I haven't read any of the Miss Marple books, but I've enjoyed the episodes I've seen, and The Pale Horse was a pleasure to watch! My family watched it with me, and they all seemed to really like it, too--from my grandparents, to my parents, to my younger sister (who came in part way through). This episode is a great way to spend the evening if you're a fan of "cozy" mysteries! Want to learn more? Visit the episode's page on the PBS Masterpiece website. Between now and August 10th you can watch "The Pale Horse" for free online! If you watched "The Pale Horse," I'd love to hear your thoughts! If you haven't yet watched it, feel free to click the link above to watch it online and then come back. Just be sure to watch the episode before you join the discussion because there will be some spoilers! Do you admire Miss Marple? If so, what do you admire most about her? What do you think about the setting of this episode? Do you find The Pale Horse Inn to be intriguing, spooky, disturbing, historically interesting, or something else? What are your thoughts on the ending? Did it surprise you? If you've read or seen other Miss Marple mysteries, how do you feel this one compares? Tomorrow we're discussing Death on the Nile (A Hercule Poirot Mystery) by Agatha Christie! If you long for purpose, adventure, and a loving home, then you'll have no problem relating to the spunky heroine of this clever book! May on the Way: How I Become a K9 Spy is the story of a little dog with a painful past who becomes part of something big. 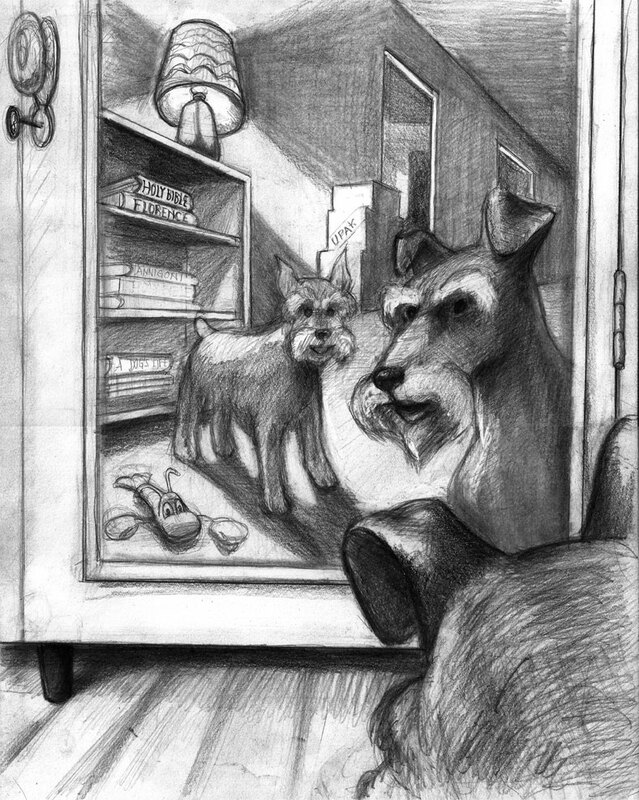 The perspective in this story is doubly unusual - it's an animal's perspective and it's in first person present (hence, the nature of the title - "How I Become a K9 Spy"). It takes a little getting used to, but eventually the reader gets wrapped up in May's excitement as she's living her story out. Animal lovers from middle-school age on up should find the story to be a treat of a read! There are lots of interesting secondary characters in this book, as well - humans and animals alike - from May's new "parents" to the copperhead snake who isn't quite as he seems. Some of the dialogue is a little stilted at times, but overall the characters are intriguing with all of their differences and their secrets. There are also lots of twists and turns in this book which include some important lessons about loving others. The ending comes a little quickly, but in a way it works well, because the ending makes the reader long to find out more about May's journey in book two! And the excerpt from book two at the end helps strengthen that longing. May has quite a fun and creative story to share in May on the Way, and the lovely illustrations really work well with the words to make a fabulous puppy package of a book! "Mom has an active imagination - she’s really still a kid at heart. She says from watching me! 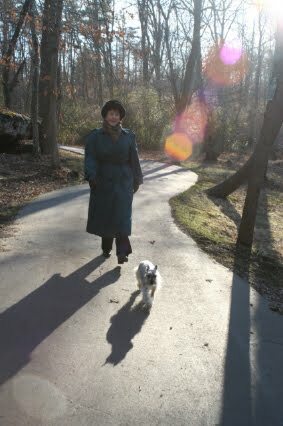 She tells me she admires my spirit and my attitude having survived all I did when I was a puppy. Like Mom says all the time, God has a plan! Of course, a lot of times we don’t know what it is until later. I mean, I would never have figured that growing up enduring the abuse I did, that one day I’d be the star of my own book series! So she wanted to help me tell my story to you. We both hope that you are encouraged to know that God loves you and has a perfect plan for you too!" "KC Frantzen learned to speak critter at a young age. As a veterinarian's daughter, she was always surrounded by four-footed friends. Occasionally her dad would bring home patients needing care during the night. He'd put the carrier on the dryer, and KC would stand on tippy toes to comfort them as best she could. She began writing in elementary school and even won the school-wide contest with a story on deep sea fishing. Though she kept writing here and there, it was mostly just for fun. KC taught fifth grade, worked for an oilfield supply company, a pharmaceutical company, then embarked on several entrepreneurial endeavors. She volunteers with a variety of projects, including the Joni & Friends Wounded Warrior Getaway. She completed the Christian Writers Guild Apprentice course, which helped prepare her to tell May's story. KC and her husband enjoy traveling just about anywhere, which helps formulate ideas for her stories. The family lives in the Tennessee hills - two humans, two Arabian horses and several rescued dogs, including May." 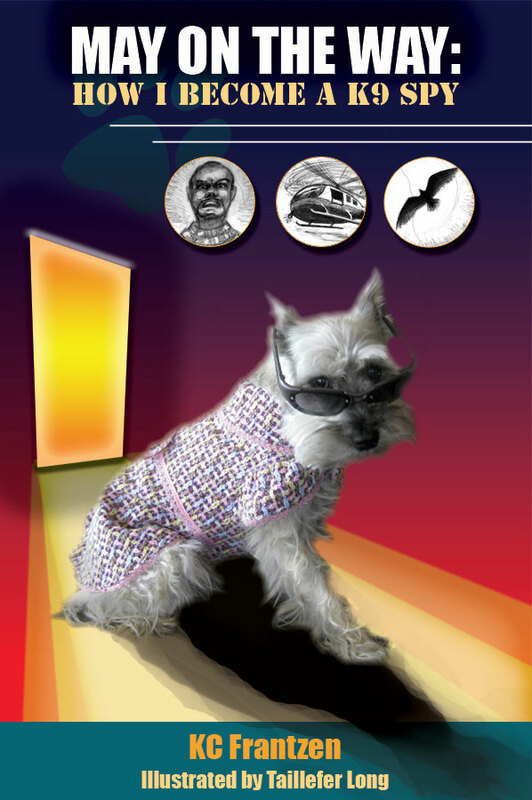 Want to learn more about May the K9 Spy? You can visit her super cool website and purchase a copy of her story! And today you can check out The Borrowed Book blog to read a fun interview with May and her author mom, KC! Saturday: I might throw in a review of "Hallowe'en Party" or "Vendetta" if I find time! Don't forget you can watch "The Pale Horse" (and "Hallowe'en Party," as well as "Vendetta" starting tomorrow) online on the PBS Masterpiece website for free! Do you enjoy discussing books? Do you like hosting blog events? Have you read Digitalis by Ronie Kendig (or can you read it by August 13th)? If your answers are "yes," then we want you to comment today! 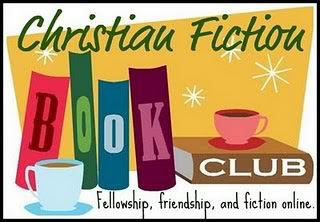 I have the privilege of picking the next Christian Fiction Book Club host, so I'm on the lookout for someone who's interested in the job. I just hosted July's discussion of Pompeii: City on Fire by T.L. Higley, and it was really neat! Want to learn more before you sign up? 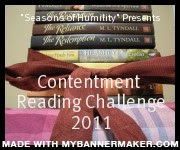 Just click the image above to read the schedule for 2011, as well as the guidelines for the Christian Fiction Book Club. Or feel free to ask me any questions in the comments section! "Unlikely romance is sometimes just an inconvenient marriage away. But when Alex’s feelings change and he refuses to dissolve their contract, will Charlotte find a way out of her vows? Or will she discover that maybe this marriage isn’t so inconvenient after all?" In the hilarious style of Mary Connealy, Y'Barbo knows how to tell a fun and romantic Western adventure story! From the very first chapter involving falling out of a window (and fainting in the arms of a handsome British astronomer and viscount) to the very last chapter full of promise (and playful banter), The Inconvenient Marriage of Charlotte Beck is a quick, enjoyable ride. Broken into two parts, the first involves one misadventure after another--full of laughs and humorous encounters between Charlotte and Alex. The journey to the (eventual) altar is great fun to read about. Shows with Buffalo Bill...burning dress ribbons...inevitable kisses...you get the idea! The second part is rather more serious in nature, although still engaging. Marriage is, after all, a serious business, and it's a lesson that Charlotte and Alex take a while to learn. I have to say that while I do appreciate the fact that Charlotte's father obviously loves her, I can understand a bit of why Charlotte longed for freedom so much. The sections regarding her father's lectures, as well as his constant controlling demeanor, did seem a little overbearing, in my opinion, but I'm glad that it was obvious he had Charlotte's best intentions at heart. Honoring one's parents is also a very serious matter, but one that comes with great blessing. Overall, I found The Inconvenient Marriage of Charlotte Beck to be a pleasant read with a surprising depth. Definitely a great book for the long summer days! Deborah Raney is a talented author! Forever After is well-written, and the story flows nicely. 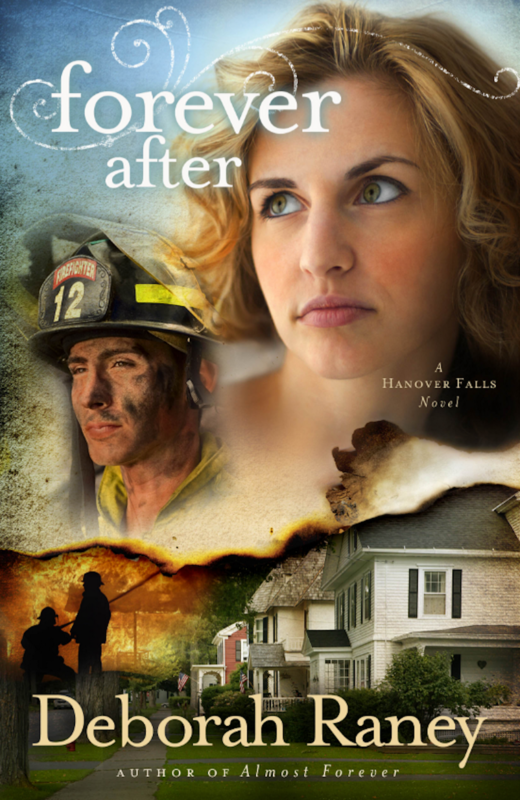 There's a lot of emotional tension and a gentle, romantic plot to keep you turning pages. Raney's characters have issues--from financial worries to physical impairment--making them realistic. They're the kind of people that frustrate you at times when they're slow to learn (oh, but doesn't that hit home? ), and yet the kind of people you cheer for and desire the best for. I love how dogs (especially one dog in particular) play a role in this book--providing a symbol of healing in more ways than one. 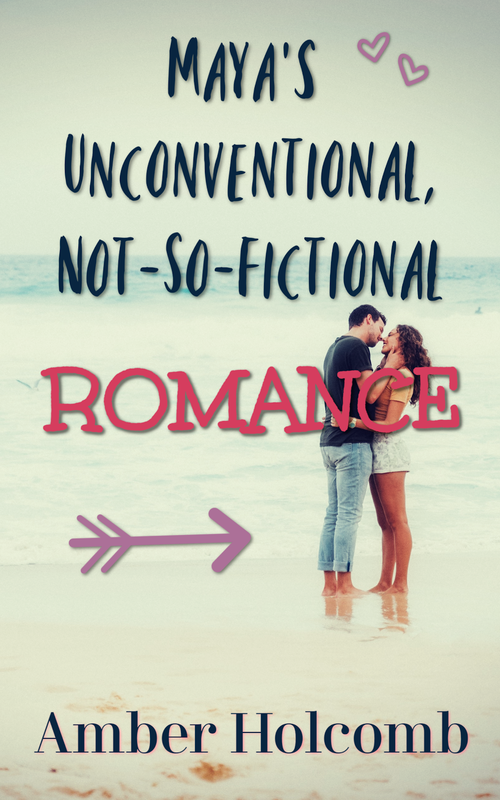 Raney does a wonderful job of letting hope occasionally peek through and then eventually shine brightly as Lucas and Jenna find their happily-forever-after. Near the end there was a jump after the climatic action that was a bit abrupt and didn't leave me completely satisfied in regards to details, but overall I really enjoyed Forever After with its sweet romance and themes of hope and healing. A great read! Friends, Crafts, and a Mystery! That's right! I got to meet our very own Casey from Writing for Christ!!! Casey came and spent a couple of days with me and my family at a home we rented in Sunriver, Oregon. We had such a blast! It was almost unreal--getting to meet a dear friend I had known online for over a year in person!! I even got to have lunch with her family one day, which was a real treat, as well. Casey is a beautiful person inside and out, and I consider myself very blessed indeed to call her my friend! Here's us at the park! We put together a picnic lunch and bicycled to the park, sat on the grass, and talked forever! ;) Loved it! Of course, we had to get a picture of us together with books! ;) Forget snail mail when you can swap books in person!! We packed a lot of wonderful memories into one weekend. Casey's friendship, as well as the friendships of all my dear blogging friends, are blessings I'll be forever grateful for! The hummingbird counted cross-stitch piece for my grandma is complete! For those of you who attended Camp Humility 2011 here on the blog, you might recall me showing you this piece as a work-in-progress during our craft time. Well, my grandma and I spent some time cross-stitching together during our vacation. So my "hummingbirds" didn't turn out to be a complete surprise after all, but we had fun working on cross-stitching together, and the memories were even better than the surprise! My sister was sweet enough to take a picture of me with my completed project! 5 Once in a while. 2 Yes, I love it! "Mystery Week" is no longer a mystery! I hope that this overview helps you--now you can get a start on reading these books and/or watching these movies that we'll be discussing. Visit the PBS Masterpiece website to learn all about this summer's Mystery season! Mystery Week: Please cast your votes! Note: In the questions, the phrase "this week" refers to "Mystery Week," which is scheduled for July 18-22nd (next week). Hope that makes sense! Feel free to ask me any questions in the comments section! For this month's challenge update, I want to start by giving ya'll a glimpse at some summer events that are coming up here at "Seasons of Humility." I did some brainstorming while I was on vacation, and I'm excited to put these plans to action! July 18-22, Mystery Week: Because it's the PBS Masterpiece Mystery season, this will be a week dedicated to reviews of several of the shows, as well as some mystery book reviews. Maybe we can get some good discussions going! July 25-29, Christmas in July: 'Tis the season to be jolly! Grab a cup of hot chocolate and join us for a fun Christmas celebration--a little cool reminiscing in the midst of the hot days of summer. ;) Be on the lookout for some fun Christmas themed posts (including the pickle ornament hunt! ), as well as a fun giveaway! August 15-19, County Fair Week: Greasy food, flashy rides, exciting games, and fun competitions...it's time for the county fair! Get ready for a judged competition, shared stories, and maybe some Amish book reviews in honor of this community event. August 21-27, End of Summer Bash: This is the place to be when the end of August rolls around! 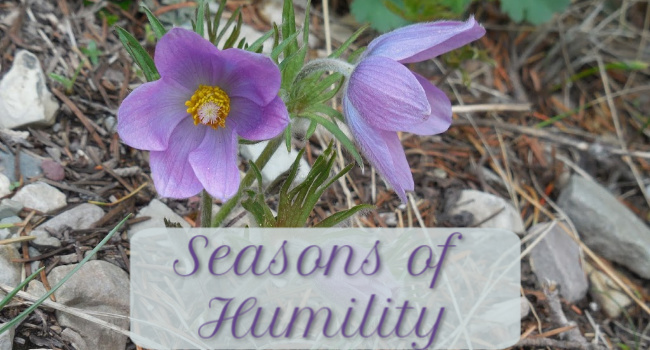 We're throwing a big party here at "Seasons of Humility" with the help of some dear author friends, including MaryLu Tyndall, Sarah Sundin, and Laura Frantz--to name a few! Great giveaways and summer-themed interviews should make this a bash to remember! Let me know what you think of these plans! I've done these themed weeks before, but this is a new year with new fun scheduled! I'd love to know how you all are doing! Are you hot/warm/cold right now? Where are you at? Since I just got back from vacation (have I already said that?) and saw this was one of the questions, I just changed my wallpaper from a picture of the castle in Disneyland (from our previous vacation) to a picture of the view from our rental home from this last vacation in Oregon. God's creation is beautiful! Do you have any nicknames? If so, what are they? 1. Bluerose from Bluerose's Heart. She's got a lovely blog and shares a wide variety of reviews and fun posts! 3. Renee Ann from Doorkeeper. Her posts are beautiful and unique, and she is a lovely, encouraging person! 4. Julia from Dark Glass Ponderings. Julia is a super sweet person with a neat, inspiring blog! 5. Ruth at Booktalk & More. Her blog is super informative, super up-to-date, and super cool! Ladies, feel free to answer the same questions I did on your own blogs if you're up to being tagged. ;) If not, no worries! Everyone, be sure to check out their awesome blogs! Katy and Casey, thanks for tagging me!